If you have a unique handle width not shown below, let me know. 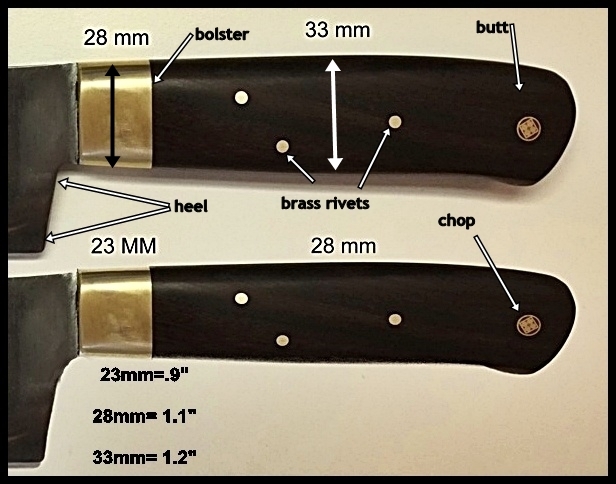 Sit down and measure a knife that fits your specific hand with a ruler, or trace the handle on a piece of paper and then measure in two places as shown below. Generally folks that have a smaller stature like the 28/33 profile. 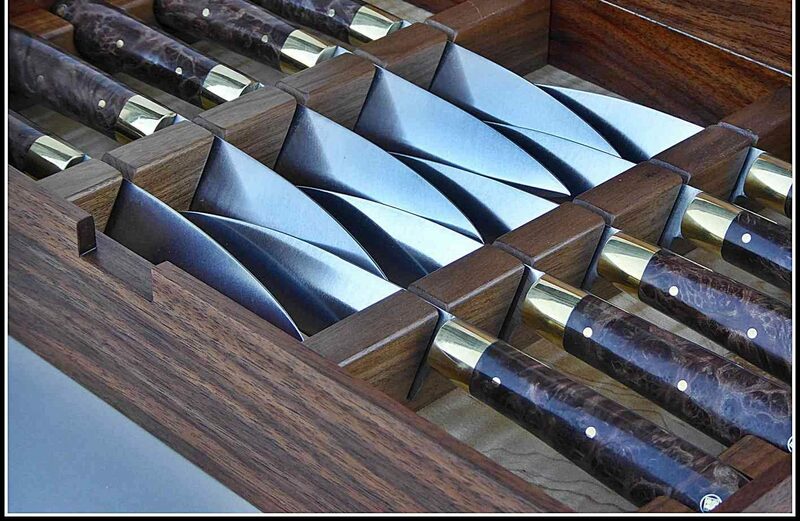 Generally if you do not ask, I will make the handle around 27/32 – depending on the size of the kitchen knife. Small knives mean smaller handles. But I love to work with individuals, and can make the size you request.